The Flat Screen TV Set Up Service is suitable for all makes, models and sizes of television, ideal for customers who need assistance un packing and setting their new TV up with all the other AV equipment like the SKY box, DVD player, Free view, Sound System ect. 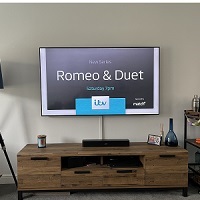 AV Installs will complete a very brief telephone assessment then book one of our professional TV installer’s to attend your home un pack your new television set and safely move it into the agreed position. The TV will then be connected to all your other devises and all the interconnecting leads tidied up with spiral and cable ties, "no more messy TV cables". After the TV is set up, tuned and connected to the other equipment the engineer will give you a demonstration of how to use your new TV. Our engineer will be more than happy to provide as much assistance as required to get our customers up and running.In addition our engineers carry a full supply of cables and connectors should you require any accessories and can also assemble any TV stand or furniture you may have brought or are considering buying. The Flat Screen TV Set Up service is a Fixed Priced Service No Hidden Charges, subject to a brief free of charge telephone assessment. All TV set up installations come complete with a full twelve month installation warranty and a customer satisfaction sign off sheet. AV Installs is a Northamptonshire Trading Standards Approved Buy With Confidence Member and only uses its own engineers which are CRB checked. Looking to get your TV On the Wall? Take a look at our TV Installation Services we have a TV Mount Installation with cable management & a concealed cabling TV Wall Installation Service. 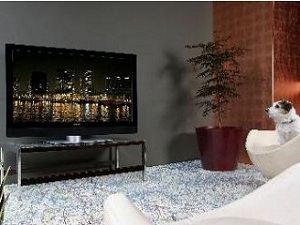 Safe unpacking & secure placement of your TV screen. Set up, tuning and calibration. Cable management (cable ties, spiral) no more messy cables. Option to purchase additional leads if required. Fixed priced no hidden charges.